This is a scalable context timeline. It contains events related to the event July 2001: Member of Al-Qaeda’s Hamburg Cell Detained in Jordan and Then Let Go. You can narrow or broaden the context of this timeline by adjusting the zoom level. The lower the scale, the more relevant the items on average will be, while the higher the scale, the less relevant the items, on average, will be. Mohammed Haydar Zammar. [Source: Knut Mueller]Turkish intelligence informs Germany’s domestic intelligence service that Mohammed Haydar Zammar is a radical militant who has been traveling to trouble spots around the world. Zammar has already made more than 40 journeys to places like Bosnia and Chechnya, and in 1996 he pledges his allegiance to al-Qaeda during a trip to Afghanistan (see 1991-1996). Turkey explains that Zammar is running a dubious travel agency in Hamburg, organizing flights for radical militants to Afghanistan. As a result, by early 1997, German intelligence will launch Operation Zartheit (Operation Tenderness), an investigation of Islamic militants in the Hamburg area. The Germans will use a full range of intelligence techniques, including wiretaps and informants. [Stern, 8/13/2003; Vanity Fair, 11/2004] Operation Zartheit will run for at least three years and connect Zammar to many of the 9/11 plotters (see March 1997-Early 2000). German intelligence unsuccessfully attempts to turn Mohammed Haydar Zammar into an informant. In 1996, the Office for the Protection of the Constitution (BfV), Germany’s domestic intelligence service, learned that Zammar had extensive Islamist militant ties (see 1996). In 1997, the BfV starts an investigation into Islamist militants in Hamburg that is centered on Zammar (see March 1997-Early 2000). Apparently, as part of this investigation, two BfV officials meet with him twice and attempt to get him to become an informant. However, Zammar strongly rejects the proposal. He says he will not serve the West, but will only serve Allah and jihad. However, he is careful to note that he is only interested in jihad outside of Germany, because under German law at this time it is not illegal to be a member of a violent militant group as long as all the violence takes place outside of Germany. [Der Spiegel (Hamburg), 11/21/2005] German intelligence will continue monitoring Zammar and many of his associates in Hamburg (see for instance March 1997-Early 2000, October 2, 1998, and July 2001). Around this time, US intelligence notes that a man in Hamburg, Germany, named Mohammed Haydar Zammar is in direct contact with one of bin Laden’s senior operational coordinators. Zammar is an al-Qaeda recruiter with links to 9/11 hijacker Mohamed Atta and the rest of the Hamburg terror cell. The US had noted Zammar’s terror links on “numerous occasions” before 9/11. [US Congress, 7/24/2003 ] However, apparently the US does not share their information on Zammar with German intelligence. Instead, the Germans are given evidence from Turkey that Zammar is running a travel agency as a terror front in Hamburg. In 1998, they got information from Italy confirming he is an Islamic militant (see October 2, 1998). However, his behavior is so suspicious that they have already started monitoring him closely (see 1996). [US Congress, 7/24/2003 ; Stern, 8/13/2003] Ironically, also in 1999, German intelligence gives its information on Zammar to the CIA (see 1999). Mohammed Haydar Zammar, a member of the al-Qaeda cell in Hamburg, Germany, is detained in Jordan and then let go. According to a German intelligence official speaking in 2002, Zammar is in transit through Jordan. However, the official will not say where Zammar is going, where he is coming from, or why he is held. Zammar is detained for several days and then deported back to Germany. [Washington Post, 6/12/2002] When Zammar is questioned by German intelligence shortly after 9/11 (see Shortly After September 11-October 27, 2001), he will mention his detention in Jordan. He will say that Jordanian officials “asked me about Afghanistan, the people there, my beliefs, contacts in Jordan, and my party membership. By party membership that meant whether I was a follower of Hezbollah, Hamas, [Islamic] Jihad, or Osama bin Laden.” [New York Times, 1/18/2003] Interestingly, in the beginning of July, CIA Director George Tenet made an urgent request to allied intelligence agencies to arrest anyone on a list of known al-Qaeda operatives (see July 3, 2001). In 1999, US intelligence determined that Zammar was in contact with one of Osama bin Laden’s senior operational coordinators, and the US notes Zammar’s terrorist links on numerous occasions before 9/11 (see Summer 1999), so Zammar would be a likely candidate for Tenet’s list. Zammar also was the target of a German intelligence investigation that started in 1996 and lasted at least three years (see 1996). CIA Director Tenet makes an urgent special request to 20 friendly foreign intelligence services, asking for the arrests of anyone on a list of known al-Qaeda operatives. [Washington Post, 5/17/2002] Also in late June, the CIA orders all its station chiefs overseas to share information on al-Qaeda with their host governments and to push for immediate disruptions of al-Qaeda cells. Vice President Cheney asks Saudi Crown Prince Abdullah for help on July 5, and counterterrorism “tsar” Richard Clarke makes appeals to other foreign officials. As a result, several terrorist operatives are detained by foreign governments. According to a later analysis by the 9/11 Commission, this possibly disrupts operations in the Persian Gulf and Italy (see June 13, 2001) and perhaps averts attacks against two or three US embassies. For instance, al-Qaeda operative Djamel Beghal is detained by the French government in July and gives up information about a plot to attack the US embassy in France (see July 24 or 28, 2001). [9/11 Commission, 7/24/2004, pp. 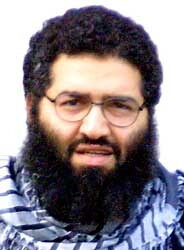 258, 534] Perhaps as part of Tenet’s request for help, Mohammed Haydar Zammar, a member of the al-Qaeda cell in Hamburg, Germany, is detained in Jordan in July 2001 and then let go (see July 2001).